How long can the news industry go on making only minimal profits from its supposed digital white knight? 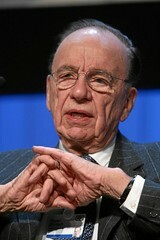 A month after saying online readers’ dependence on free content is “going to have to change somehow“, News Corp.’s Rupert Murdoch has now “set up a global team, based in New York, London, and Sydney, to create a system for charging for online content in an environment where consumers have come to expect to get it for free”, The Daily Beast reports. There’s no on-the-record source but, Newsweek‘s former London bureau chief Stryker McGuire writes, a “knowledgeable source” says the team is “looking at hardware” to deliver pay-for content, suggesting e-readers may be it. And Murdoch is personally overseeing the effort, with help from Dow Jones (NYSE: NWS) CEO Les Hinton and son James, News’ EMEA head. Also FIAT's Vice President Mr. John Elkann agrees with Mr. Murdoch's Vision. Are they right?